The Brownlow Trail is part of Pioneer Park’s 280 acres devoted to mixed recreational use. Yesterday we hiked the 5K segment with an elevation change of only 67 feet. Surrounded by juniper, scrub oak, and other high desert vegetation we had views of both Thumb Butte and Granite Mountain. There are seven trails that use a color coding system. We have previously hiked the Legacy Trail. 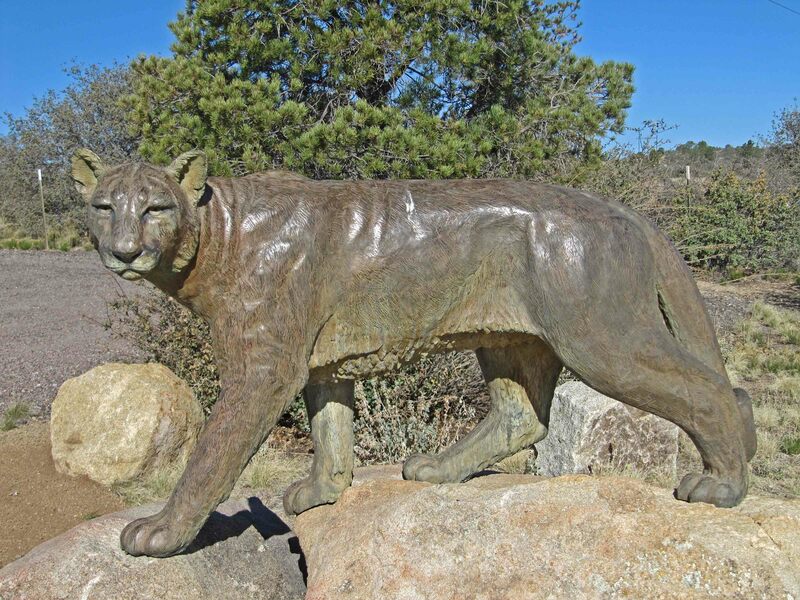 At the trailhead we admired the life-size sculpture of an Arizona Mountain Lion by Jesse Howoki. We parked near the hockey rink where teams of roller skaters were vigorously competing to achieve their goals.